Description:This is a nice, complete specimen with good threads. Some folks do not realize that the brass bushing these went into is part of the shell so ones with the bushing on them have been blown out of an exploded shell. These are harder to find than those and more useful for completing shells. 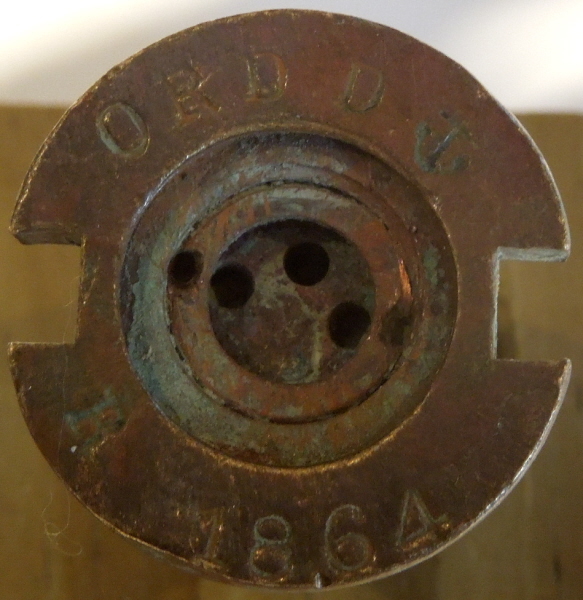 The R is thought to be for "reload." When ships returned from cruises, the paper time fuse inside may have been exposed to moist sea air and so was undoubtedly replaced. 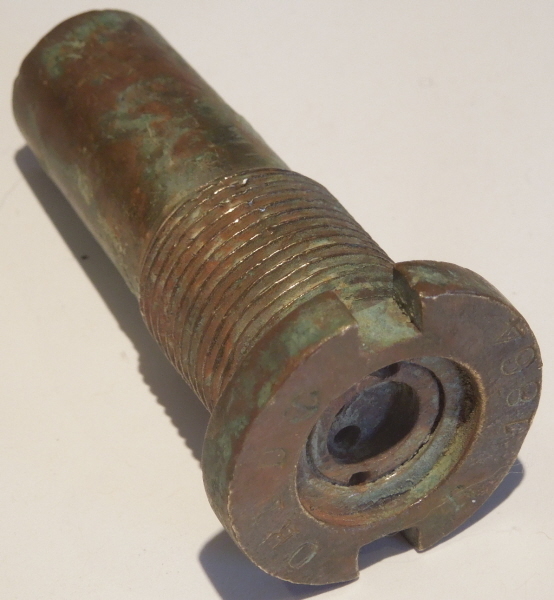 A batch of these fuse adapters were recovered near the Mare Island shipyard where they had been taken out of shells of returning ships and thrown in the river. This is likely one of those. I have a couple other of war era dates (1862-3) available as long as they last for the same amount.